The need to be ready for anything encourages hurricane disaster preparedness, and AbsoluteRights.com is supporting the cause. Absolute Rights is empowering citizens to be prepared with their latest Special Report. It gives expert advice on surviving any emergencies, both man-made and natural. When the unthinkable happens, like a severe storm that hits a coastal town in the blink of an eye, hurricane disaster preparedness is the only defense. Today’s AbsoluteRights.com article said those left unprepared will have no time to gather family members, important survival items, or essential identification documents when the time comes. Time spent preparing now will mean survival later. Absolute Rights is empowering citizens to be prepared with their latest Special Report. It gives expert advice on surviving any emergencies, both man-made and natural. 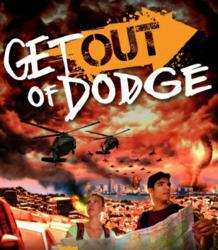 Entitled “Get Out Of Dodge,” the thoroughly-researched guide is the product of real life situational awareness training. It gives people a blueprinted preparation plan, a survival bag supply list, and if necessary, an evacuation route. Hurricanes require special preparations, the article said. They combine the severity of a tornado or earthquake with the destruction of floods and rising water. The National Hurricane Conference is currently being held in Orlando, where FEMA Administrator Craig Fugate delivered remarks to attendees and addressed the importance of hurricane preparation. "Last year proved that the effects of hurricanes can impact areas beyond just the coast,” Fugate told the conference. “As we look to 2012 we need to work together as a team, with all our partners, the private sector and the public to ensure that communities are prepared no matter where tropical storms impact," he said. He also emphasized the urgency of preparing beyond the typical hurricane season, and remembering to plan for anything, anytime. "We have to stop planning for the past storm," said Fugate. "We have to be looking forward and plan for all hazards—understanding the current threats before us and what vulnerabilities we have." All disasters are different, but survival in any situation is based on one factor: emergency response preparedness. Absolute Rights’ Special Report covers a range of different scenarios, identifying what makes them unique and what must be done to get out alive. Absolute Rights informs patriotic Americans on their given rights, plus helps them claim and protect them from certain imposing entities. Most importantly, it prides itself on alerting people when their rights are being threatened, creating an active and informed community. Subscribers to Absolute Rights gain access to Special Reports like this one along with other informational materials and exclusive offers. All the survival training ever needed is now available in one Special Report and its complementary Workbook. “Get Out Of Dodge” makes anyone realize survival trainings’ full potential, with hurricane disaster preparations, safety instructions, survival kit suggestions, and much more.